Is your Wi-Fi connection so weak that it doesn’t even reach the four corners of your home? Are you stressed with the fact that you’re getting slow internet speeds everywhere? Are you not able to utilize the complete speed potential of your internet plan just because of inadequate Wi-Fi signal? If the answers to above questions are Yes, this article is a must read for you. Guys, you do deserve a good Wi-Fi connection. If you have a good internet speed and want to enjoy the Internet experience, you should work towards getting quality Wi-Fi signal. 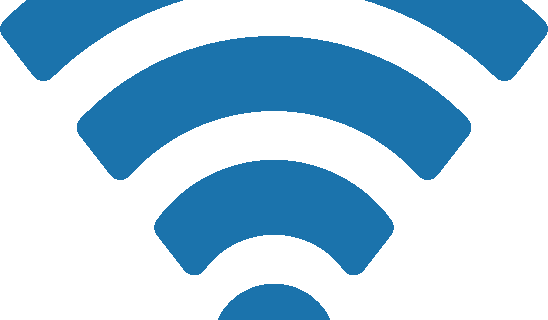 Boosting Wi-Fi signal might not always require investment. Most options of increasing Wi-Fi signal strength are free and require little time as well. Do not ever trust any Wi-Fi booster app that you see – either on your smartphone or PC. 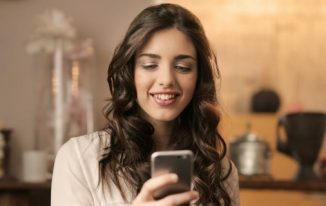 Take it logically – how can a mere app boost your reception? There’s no possibility for an app to increase your Wi-Fi range, all of them are just trying to fool you. Believe it or not – the no.1 reason why you’re dissatisfied with your Wi-Fi signal is the improper position of your router. Your router works by transmitting radio frequency. Radio waves can transmit through walls and objects, but that would result in signal loss. Thus, the primary thing you should make sure is that your router is not surrounded by objects that can obstruct radio waves. Take it as the foremost wireless router booster tip from me. Metal objects tend to absorb the radio waves. Make sure that none of the metal objects are near your router – they are the enemies of a good Wi-Fi signal. Appliances such as microwave oven and cordless phone tend to disturb Wi-Fi connectivity. I am not telling to throw these objects out of your house, but you should try your best to make sure that these objects do not obstruct your wireless signal strength. 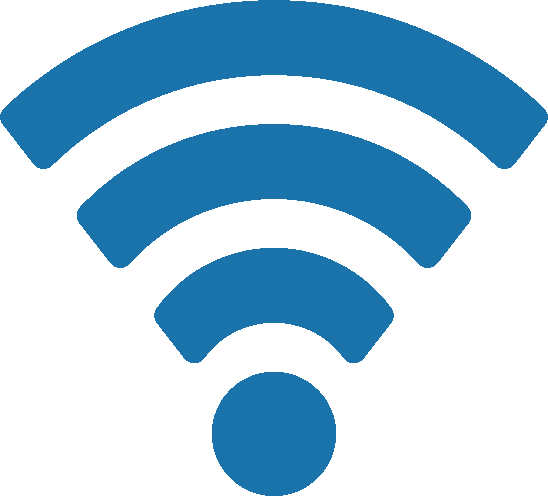 Most Wi-Fi routers operate at a frequency of 2.4 Ghz or 5 Ghz. And surprisingly, many cordless phones operate at the same frequency. This similarity can greatly disturb your internet speed. Check your router and cordless frequency, and make sure that they are not the same. If they are, one of them has to leave. Note that this does not apply to cell phones. The best Wi-Fi booster tip you would receive from me is to keep your router at a higher position. Why? Simple logic it is – the higher the position, the lesser the disturbance. A higher position would ensure that Wi-Fi signal reaches each and every point of your house. Also, many Wi-Fi routers tend to have a habit of transmitting the signal in downward direction. Therefore, a higher altitude is an absolute requirement for awesome signal quality. This is the weirdest tip for boosting Wi-Fi signal. 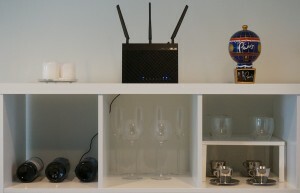 Most Wi-Fi routers of today have 2 antennae for improved signal transmission. If you have kept both of them slightly diagonal in opposite directions just to make them look cool – it’s time to change. Keep your antennae perpendicular to each other. Sounds strange? No person I ever met has kept it this way, why should I? The reason is simple. 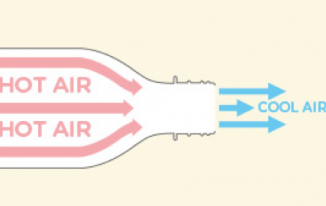 Wifi signals work great when the antennas are parallel to their internal antenna, and it is done when the external ones are kept perpendicular to each other. Thus, to get the best output possible, keep it perpendicular! It is not that only physical factors matter for Wi-Fi transmission, a little bit of control over the router can act as a wireless router signal booster. First of all, password-protect your network. Even if you have an unlimited plan and don’t mind people accessing your network for free, do it. Hide the SSID too if possible. You might want to do social service, but this would ultimately increase the burden of your router. Also, the users connected would even kill your speed. If too many internet-heavy tasks run simultaneously at your house, it’s time to bring in a change. Don’t run internet consuming processes such as downloading, online streaming or online gaming simultaneously if you want a decent user experience. Following these steps will definitely help in boosting Wi-Fi signal. By this statement, I do not ask you to kiss your router and worship it day and night – you should just devote a few seconds each day to maintain it. First of all, keep it a habit of restarting the router at least once a day through the control panel. Restarting the router ensures that it gets the rest it needs to function correctly. It’s a rule of thumb that all appliances need rest, don’t they? Secondly, you should install a firmware update as soon as it’s out. Firmware updates ensure that your device will deliver the best output possible and survive in the long run. If nothing else works for you, and you’re in need of a really huge area to be covered by your Wi-Fi, this might be the best Wi-Fi booster tip for you. The easiest wireless router booster trick out there is to buy a Wi-Fi range extender. I would prefer buying the extender of the same company as your Wi-Fi router to get the best possible compatibility. The main disadvantage, however, with a Wi-Fi extender is that the devices connected with it experience a reduction in speed. Thus, if speed is an issue, you should not get an extender. Lastly, if you don’t want to spend a dime, the best Wi-Fi booster idea for you would be to use a metal can to extend Wi-Fi. Metal can transmit signals to places farther than the Wi-Fi router. This guide on Lifehacker can help you out. I hope you can implement these tips for boosting your Wi-Fi transmission. A combination of a few of the above-mentioned ideas can drastically improve your internet speed. If you have some tips to add or opinion to voice out, I would be obliged to receive your comments in the comment section below. Great to know that Devendra. I never knew the gadget “Net Gear” will buy it soon. All other tips are also helpful. Thanks for combining all these tips. 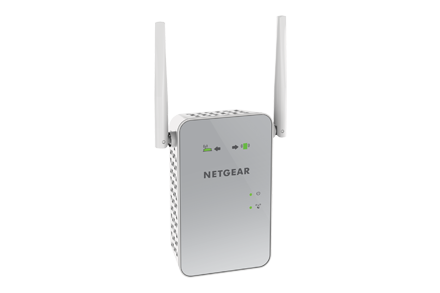 Good to know that you are going to buy NetGear wifi signal extender. NetGear is actually a brand that manufactures networking equipment.. I am using Netgear wifi router at my home, I don’t know that we have to take these many steps to get the right signal for our devices like keeping the antennas in the right direction, altitude, and position. This article really helped me to know some important tips about the routers, thanks for sharing this information, see you soon with another article, keep up the good work. If you don’t have any signal issue then you don’t need to apply these tips. But, if you have low signal in the different corners of your home, you must apply these and see the difference in the signals. I used to use wifi router previously and had faced lots of issues with signal. Recently I have moved to 3G dongle with wifi and since then taking a sigh of relief. I used Dongle earlier but I found it costly as My requirement is around 50-60 GB Data a month. Then I moved to broadband connection, and I am happy with it. I am keeping the things I have shared in the post in mind for getting better signal from my router. Thanks for coming by, and have a great week ahead. Amazing Tips, Sometimes I face the problem of slow internet speed, so will be trying the things you have mentioned . Thanks for coming by Robin. Hope you get the right signal using these tips. Your article makes help to get more signals from wifi router…. But it suddenly drops the signal and I become unable to access..
Can you suggest what will the problem? These tips do work when there is no issue in your router’s signal thing. If have applied all the things mentioned in the post, and still getting low signal, get your router checked because that may be some technical problem with it. For all those who are facing slow WiFi speed this above review will be very much helpful for all of them. Thank You for sharing this wonderful information. Do let us know more information’s in future. Hello Atish! I have very few enemies in my life. One of them is Wifi. Be it at work or at home, Wifi has always managed to cause trouble in what I’m doing at that moment. It’s frustrating, really. I don’t understand technology as it is. Unfortunate that I have to rely on the internet for most of my activities. Thanks for these tips. I hope they are able to help me out. I can understand your frustration. But, if your wifi is really creating issues, then get a good wifi device first, and keep the mentioned things in mind. I am sure it will help. Having less traffic on a router is also a great way to keep the signals amazing. Thanks for sharing. its helpful indeed. Thanks for your comment Nisha. Wow…I never knew that using a microwave or cordless phone can play havoc to my wi fi! I had no clue about all these issues and I’m glad I know now. I don’t get any disturbance at all except for a storm that knocks power out. 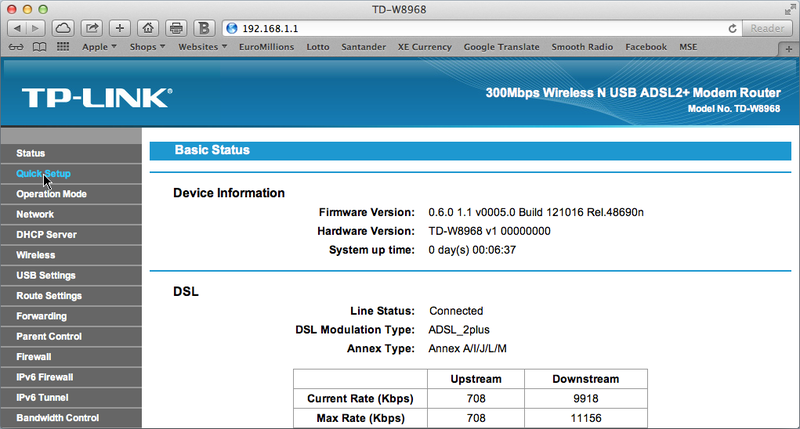 But…I noticed in my dentist office, where there is always a long wait, they are having trouble with their wi fi. It is that kind of office that looks like a spa..very high end. But the wi fi there is terrible…I can’t even use my phone. I am sending this link to them. I know it will be beneficial because the staff there is going crazy. I am happy that you learned something new from this post. If you are not having any problem with your Wifi Signal, there is no need of experimenting. And, yes do forward the link to them as they may get help from this article if they have some normal issues. If they have issues with their Wi-fi device, they must replace or get that repaired. Thanks for coming by, Donna. Hope you are enjoying your weekend. Hi Atish. Thanks for sharing the great tips. For my house, keeping it hear the center of the house (and having a small house) really works well for us. Microwave and cordless phone interference makes perfect sense too. It’s best to be rid of them anyway. Microwaved food is a huge health risk. Keeping the antennas perpendicular to each other is new to me. I had a friend in college who is an antenna designer. I’m sure he could explain why that helps. Thanks again. Welcome to my blog. Hope you will find good articles to read. About the microwave and other stuff, I would like to say that there are many things around us that make things easy but they come up with some risk. Good to know that your friend is an antenna designer. Yes, he may explain it to you well. Enjoy your weekend. Thanks for coming by. 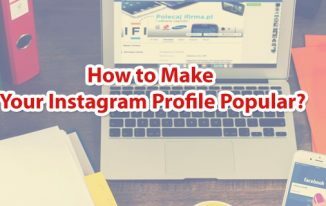 Many thanks for sharing these great practical tips. I live in a little village in far north eastern Thailand where the internet connections are not very reliable. These wifi tips will definitely help me improve my internet connections. I have just moved our microwave by the way! Best wishes and thanks again from the remote Thai village marketer. Thank you for coming by. I can understand that village areas may have internet connectivity issues. But, as said “where the will there’s way” you can do your work even in that situation. Hope this post helps you increase signals of your Wi-fi device. Nice to meet you, Peter. May it hel[p others to speed up the internet. Great Tips Atish! Poor wifi signal is a big problem specially if you are trying to contact your clients. Thank you Atish! I am always having wifi issues at home so this will help alot. Really practical tips… If you extend, do you need to block if live in apartment? What is the typical extension range. I cannot tell you exactly but different extenders have different boosting capacity. The Netgear wifi extender I mentioned in the post extends dual band WiFi up to 1200Mbps. Thanks for the visit, Geoff. You have share very good and informative article . you pointed out many problem and give their solutions . i am facing same problem .please give some solution. some time my Laptop drop the WiFi signals . what should i do? May I know the distance between your laptop and the Wifi Router? it is about 3 meter . Please give me some suggestion . 3 Meter seems to be the perfect distance, and signal should not be gone. But, as you say it’s happening. Get your router checked with some router expert. Sir , Only i face this problem . my friends laptops are working well , is this my laptop hardware or software problem , what should i do to remove this problem from my laptop ? If it is happening with your laptop only, I would advise you fresh install the windows first after formatting the current copy(You must be having the Windows CD), and then check. If problem still persists, go to some hardware guy, and he will check the wifi card of your laptop. Thank you for the tips, I’ve been certainly experiencing low internet connection lately. I’ll try these tips later at home. 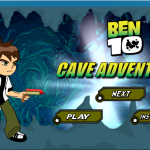 I can hopefully use my Mobile Apps with ease and no internet instability and disturbance. Good tips. However, I bet perfect position is the best way to get proper signal. It seems it will work, i will follow your tips. Hope it will help me. In my area signal is bad, i am searching like this type of article, i got it at last from your blog. I am going forward to see the results what will happen. Thank you! Thanks for the valuable information about Wifi Range Extender. I did like to suggest you one more tip to boost up your Wi-Fi signals. Choose 2 rechargeable batteries (cell) and fix them both with Wi-Fi router antenna. Keep in mind both batteries should be in the middle of antenna with +ve end upward the antenna, and fixed with some electric tape. 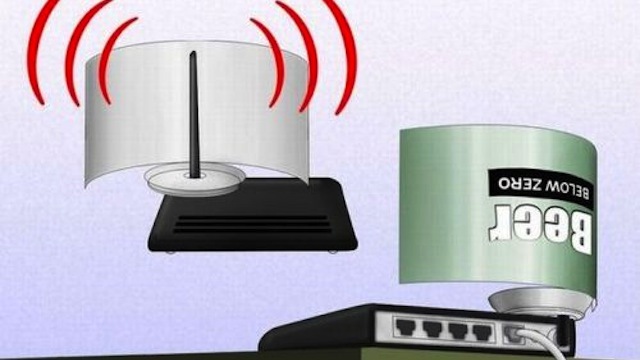 With this method you can easily boost your Wi-Fi signals and also your internet speed. Two things we should focus that the position and antenna of wireless router. A good and clear position will help your wireless signal goes far than put it in a narrow position. Also, we should upgrade the stock antenna to a higher, which will expand the signal better. WiFi connection with proper data speed is most required, specially for those who are earning from online business. And issues with poor WiFi signal in India is very common this the day. I must thank you for coming up such essential tips. We ended up getting a WiFi extender at my parents’ house because we had trouble picking up WiFi from all corners of the house. I never thought about placing my router higher up, but I’ll have to give it a try. Thanks for sharing! I’ll take on board what you’ve said and incorporate it with what I do currently to help improve peoples’ WiFi connections further! Great tips, I had no idea you needed to keep the antennas parallel to get the best signal. Thanks for sharing! I’ll have to give these a try. I intend to buy a wifi range extender. You mention that extenders reduce the speed. If the signal improves but reduces speed – does it really help? Is there any gadget which improves the speed? Extenders help your wifi signal reach to a larger area but when the signals cover a larger area, you may notice a bit of slowness in the internet speed. Moreover, such reduction happens if you try to extend your network to a large distance.. for a smaller area, wifi range extenders are excellent. Thanks! This is so helpful. I was facing a weak signal problem since the last couple of days. Thanks to this blog, now the signal is pretty normal and working without interruption. 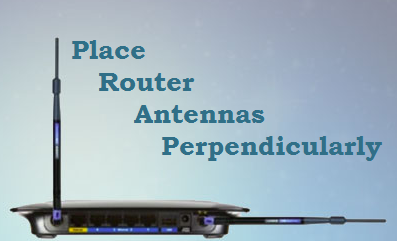 The tips given here have helped me much to increase the signal strength of my router. The speed of my wi-fi also received a boost! Thanks again. This article will help us all who uses wifi router with very less speed. when we use wifi and get disappointed because of the signal speed of the wifi so we must follow these steps to increase our speed of the wifi speed.thanx for this article. this will really help us.